These are three phrases I love and that have inspired me over the years. I’ve always loved Disney’s fairy tale movies, and being a romance writer, I’ve always wanted my characters to have their fairy tale romance. It wasn’t until November or so of last year when I had an idea. Why not write my own fairy tales? If you’ve read my work, you know how I enjoy twisting my stories up until my readers can’t guess the endings. So why not twist fairy tales around and make them more interesting, romantic, and suspenseful? What is it about fairy tale stories that nearly everyone seems to love? Is it because in real life those types of romances usually don’t happen? Well, what if they do, but you just don’t realize it? When the idea came to me to write fairy tale stories, but make them seem real (well, as real as could be even though some of the stories have wizards and witches), I decided to give it my all. Thankfully, by the time I’d gotten this idea, I had already started writing a young adult fantasy about three teenagers who were sucked into a book that was from a very early era. That’s when I decided to throw a Hansel & Gretel aspect to the story…and a witch, of course. I called my story, The Witch Hunt. Once that story was finished, a few more fairy tale ideas came to mind. 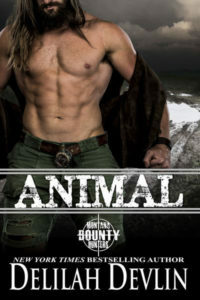 I had a previously published story that was a modern-day Cinderella romance, so I just added a few more scenes and fixed it up to be more of a Cinderella story. That romantic comedy is titled, Her Own Fairy Godmother, which is book #2 in the series. 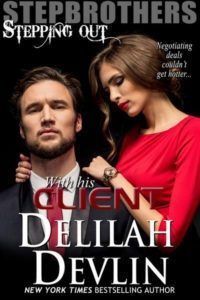 The next book in the series was easy to write, especially when I saw the awesome book cover my cover artist had premade to sell. That specific book cover screamed Robin Hood, so naturally, I bought it, and wrote my story, Champion. At that point, I decided to start figuring out what fairy tale stories I wanted to write—and then find book covers for them. Within a week, I had all of my book covers (thanks to my cover artist, Sheri McGathy) and an idea about how I want their stories to flow. Book #4 was my historical Cinderella story, Keep on Believing, which was released March 20th, 2016. I’m currently writing book #5, Once Enchanted, which is about Rapunzel. That will be released in April. It’s my goal to have a fairy tale story released nearly every month this year. So far I have eleven book covers. I’m sure I’ll think of more fairy tale stories to write for next year. For those who do not know me, I write more than just fairy tales. The genres I’ve had published are: Colonial, Regency, Victorian, American Western, Titanic Era, contemporary, mystery/suspense, paranormal, time-travel, and romantic comedy. 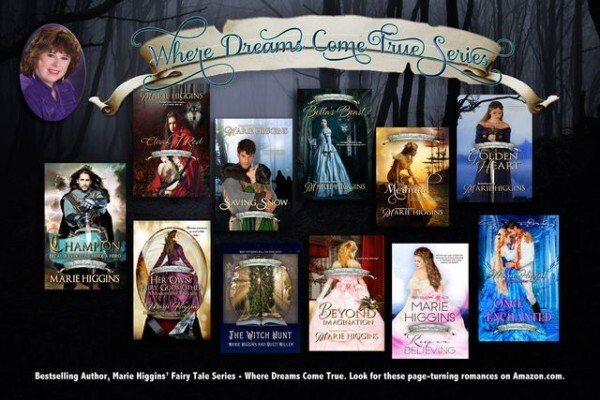 Leave a comment on this blog and tell me which fairy tale you enjoy reading – and you’ll be entered to win a FREE copy of my latest release, Keep on Believing (either Adobe PDF or Kindle formats). 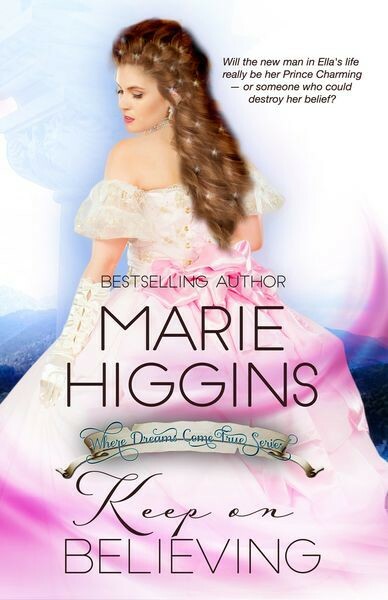 Marie Higgins is a best-selling, multi-published author of Christian and sweet romance novels; from refined bad-boy heroes who make your heart melt to the feisty heroines who somehow manage to love them regardless of their faults. She’s published over 30 heartwarming, on-the-edge-of-your-seat stories. She broadens her readership by writing mystery/suspense, humor, time-travel, paranormal, along with her love for historical romances. Her readers have dubbed her “Queen of Tease”, because of all her twists and turns and unexpected endings. While lessons and exercises will be posted throughout the month of June, this is truly a self-paced class. We all have busy lives, and the workshop is designed to accommodate any schedule. 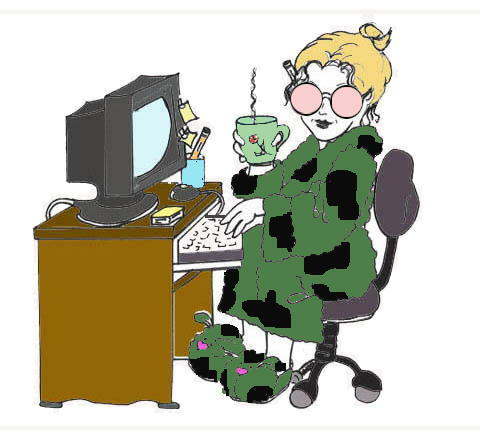 For those who don’t know, my sister and I co-founded the website for writers called Rose’s Colored Glasses in 2004. From that site, we run a critique group and provide workshops—some free and some for pay. In June, I will be leading a month-long plotting bootcamp. It’s a great time to join—something you can do for yourself during the hot summer months! Join me if you can!